An update on cloud computing in health care | Faction Inc.
Across nearly every industry, the cloud is becoming synonymous with increased efficiency, more business agility and improved collaborative abilities, along with convenient data storage. One of the biggest sectors that has more than dipped its toes in the cloud is health care. Increasing pressure to cut costs and consolidate and integrate data has led to health care organizations seeking ways to accomplish these things without impacting the level of care they give to patients. MarketsandMarkets predicted in a recent report that the North American health care and life sciences cloud computing market would be worth $11.43 billion by 2020, representing a growth of 20.5 percent per year from 2015 to 2020. The research also found that private cloud infrastructure would account for a fairly large portion of the market. This is a clear indication that cloud deployments are gaining traction among leaders of this industry. 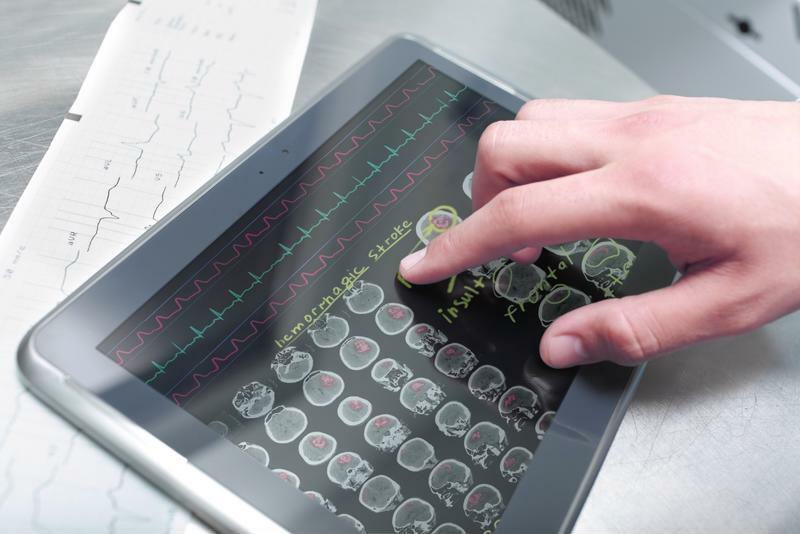 Why do health care organizations invest in the cloud? There are various reasons a cloud deployment makes sense for medical care providers. The report stated that the growth of this sector will depend on national health care reform in various countries, new payment models and cost-efficiency of cloud strategies where they are utilized in this capacity, and the implementation of the Patient Protection and Affordable Care Act. In addition, opportunities for the cloud to become an even bigger part of health care lie in telemedicine. These are all advantages of cloud computing that health care organizations can be and are utilizing. According to Healthcare Informatics, 97 percent of hospitals were using certified EHR technology to store and share electronic medical records. The near-ubiquitous implementation of EHR technology has been another important instigator of cloud deployments across the medical field. The cloud lends itself to large quantities of data now handled by these institutions. Doctors and nurses are accessing patient medical documents via the cloud. Health care providers are jumping on the cloud bandwagon to great success. One of the best examples of this would be Fort Worth, Texas-based Creative Solutions in Healthcare, which operates 100 percent in the cloud, according to TechTarget. Shawn Wiora, the CIO at Creative Solutions, touts the effectiveness of running all of the company’s applications in these virtual environments, saying there is nothing in the Health Insurance Portability and Accountability Act that prohibits the use of the cloud in health care. One of the biggest benefits, he stated, is that the cloud allows his organization to be more agile than it would if it were running legacy systems. Cloud infrastructure has allowed care providers to create secure environments for the storage and analysis of large quantities of data – a necessary function in an industry that generates as much data as health care. In the long term, therefore, this consolidated data structure allows these providers to have a more comprehensive understanding of the patients within their care – because data like electronic medical records and billing information can be accessed much more easily. Cloud infrastructure helps health care organizations become more agile and provide better care to patients. In the wake of HIPAA, institutions can be hesitant about deployments of this nature, but cloud-based options can offer a level of security such that organizations don’t need to worry about these issues.